It’s New York Fashion Week for Fall 2019 with front row show-goers like Lady Gaga and Justin Bieber stalking the runways. But to take part in the event you don’t need an A-List name to get a taste of the seasons emerging trends. What’s no longer a secret is the sidewalks turned catwalks of New York are ripe with creative opportunity for fashion and street photographers alike. We think the best street style moments are arguably more inspiring than the catwalk especially when captured with an artistic eye. If you’re looking to capture the top trend setters and get your photo re-published for the world to see, you’re going to need to create work that stands out from the pack. For a fashion photographer, street style can be a rewarding field, restoring some of the impromptu decision making lost in more high-end photo shoots. If you’re interested in improving your street style shoots — or learning how to start to from scratch — we’ll teach you how to turn the streets into your canvas. Street style is seen as more “authentic” than mainstream fashion because it’s unbound by finances or corporate intervention. Photographers should lean into that by capturing the most original and unique styles, the kinds people won’t see elsewhere. In other words, copying Chanel or other mainstream fashion trends won’t get you far. “Barri Gòtic” – A Barcelona post with @svottari; an Aussie ballet dancer living in Madrid who flew down just to attend Pursuit in Barcelona w @pursuitofportraits & @moodyports – Thank you Samantha for making the trip. It was a great afternoon and some great memories. – #pursuitofportraits #moodyports – CHECK OUT a full length of this up on my stories. In contrast to the more flamboyant fashion shows, street style tends to be more subdued. After all, your “models” don’t have the budgets of high-end brands. Capture looks so basic that other people at home can replicate easily. Perhaps no one does this better than Brandon Stanton, photographer and founder of the popular blog Humans of New York. He firmly believes that every portrait tells a story, and every photographer has the ability to capture that story. If you’d like to know what specific techniques they use to produce such an emotional effect, watch this class on photographic story-telling taught by the blog’s creator, Brandon Stanton. The world is full of found art, so use it. Incorporate the environment into street style photography as much as possible. Are you standing near a fire hydrant? Have the model put their leg on it. Near a strange street lamp? Could provide some interesting lighting. Unlike normal fashion photoshoots, nothing is prepared beforehand for street style shoots. Sometimes you just have to be patient while waiting for inspiration to pass by. Street photography embraces the raw side of the art form, which may require more technical knowledge of your craft. Make sure you master the Fundamentals of Photography: shutter speeds, lenses, composition, aperture, etc. Because you’re shooting in public, you have to choose the when and where carefully. Know what you want and plan accordingly; if you want to photograph a lot of people, choose a high-traffic street at peak time (but have a place to take the photos uninterrupted). Alternatively, find a model beforehand and scout quieter, more isolated locations. If you’re afraid to talk to strangers, overcome it — you’ll need to explain to them your vision, tell them how to pose, and have them sign release forms. One is expensive and glitzy, the other grounded and gritty. But while they may seem adversarial, the truth is that street style and mainstream fashion work with each other. Popular fashion & beauty trends draw on many influences, from the fashion powerhouses to upstart fashion bloggers. A good street style photography should look to fashion month for a roundup of the latest looks. Showcasing upcoming styles for fall and winter outfits of ’19, New York Fashion Week (Feb. 7 – 15) kicks off fashion month, followed by London Fashion Week (Feb. 15 – 19), then Milan Fashion Week (Feb. 19 – 25), and ending with Paris Fashion Week (Feb. 25 – Mar. 5). Of course style extends beyond the fashion capitals like Paris and New York City. We still have Seoul Fashion Week (Mar. 19 – 24) to look forward to, although Copenhagen Fashion Week finished in January. If that’s not enough, there’s always Pitti Uomo, the menswear event in Florence, Italy. Whether you’re just starting out or a seasoned professional, success in street style photography relies on being part of the community. If you’re just looking for inspirational outfit ideas, try following the top street style stars and see how they dress. Celebrities like Rihanna and fashion insiders like Louis Vuitton’s Virgil Abloh are known for their ties to street fashion. Even Meghan Markle looks just as stylish on the street as in royal wedding. For a more specific list, check out these Top 10 Street Style Photographers and Urban Artists to Follow on Instagram. Although it seems modern and edgy, the truth is street style photography has been around since the invention of the portable camera. To get a fresh perspective, browse these street style photographs of cool women of every generation, with vintage styles dating back to the 30s. Knowing the genre’s past can be a big help in the future. 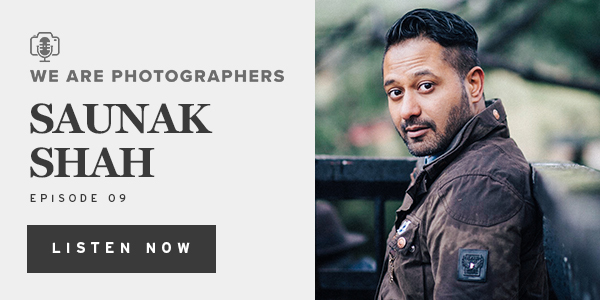 The post Street Style: How to Photograph the Emerging Trends of Fashion Week appeared first on CreativeLive Blog.